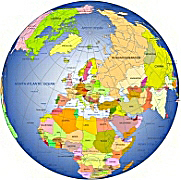 Editable royalty-free map of Europe continent map in vector-graphic online store. 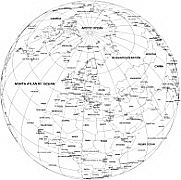 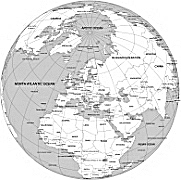 Europe is the world''s second-smallest continent by surface area, coveringabout 10,180,000 square kilometres (3,930,000 sq mi) or 2% of the Earth''ssurface and about 6.8% of its land area. 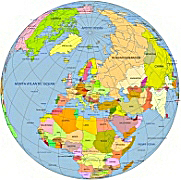 Of Europe''s approximately 50 states,Russia is the largest by both area and population (although the country has territory in both Europe and Asia),while the Vatican City is the smallest.Europe is the third-most populous continent after Asia and Africa,with a population of 731 million or about 11% of the world''s population.